President Trump has signed a new Executive Order allowing the US government to freeze the US assets of individuals or corporations worldwide who are determined by the US Administration to have violated "human rights" or engaging in corruption. What about due process? What about jurisdiction? Japan is now allowing their population to use cryptocurrency as payment. Bank of Canada worried about the economy, all private western central bank countries are using the same strategy to manipulate the economy, this will not end well. A professor has found the missing 21 trillion dollars, will not elaborate where the funds had gone. Last week I penned an article about the history of Bitcoin and how the community around it has dramatically changed. This isn't just Bitcoin however, it is all Cryptos. In the beginning, as I discussed last week, the Bitcoin community was all about helping each other grow and prosper, it had its own micro economies and because of this it boomed. Fast forward to today, and as I discussed in last week's article, the landscape is nothing like it once was. "Getting rich quick" topics are all the rage on Bitcointalk, and no longer can small businesses, even use Bitcoin as a form of payment, due to skyrocketing fees. As I mentioned, this has led to a large number of the original veterans of the Crypto space, leaving all together, as the vision they once saw is long dead. Little did I know just a mere week ago, just how over the mark I was in this assessment. The trend appears to be continuing and is now moving to high profile names within the Crypto space, with two in particular now cashing out of their cryptocurrency positions almost entirely. The first is Charlie Lee, the founder of Bitcoins little brother, Litecoin. Litecoin is often referred to as Bitcoins silver and is thus heavily attached to the success of Bitcoin. This has caused Litecoin to skyrocket in value over the course of the year. In fact, this time last year, it was trading at a mere $3.67 USD per Litecoin. Fast forward to today, where it is sitting at roughly $320 USD per Litecoin. A phenomenal gain of well over 9000% in less than one year! You cannot blame Charlie Lee for cashing out, but what is shocking, is the fact that this has happened, given that Lee has been one of the biggest promoters and pushers of Litecoin in the past and how still, there are those stating that the price can never go down. A warning sign, noticed by any contrarian investor. Charlie Lee of course had an explanation that had nothing to do with the parabolic rise of Litecoin, stating that he suddenly now believe his ownership of Litecoin to be a "conflict of interest". You can read his full reddit post here. The second prominent figure to cash out of the cryptocurrency markets is the founder of the original Bitcoin.com website. Emil Oldenburg, of Sweden has been a massive supporter of Bitcoin and it comes as a shock to many to learn that not only has he cashed out of Bitcoin, but is now dismissing it as a valid form of money. He even went as far as to state that Bitcoin is currently "the most risky investment a person can make". The markets have simply not priced this in yet. The ones who had the foresight to be a part of Bitcoin from inception are sending up red flags and are even publicly stating that they are cashing out of their positions. Yet, the price of Cryptos continues to trend higher. Perhaps these announcements will be looked back upon as the beginning of the top for Cryptos, perhaps not. Only time will tell, but what is certain is the fact that high profile names are taking notice of what I have been stating for close to half a year now, the community around Cryptos has dramatically shifted and changed. What sparked its meteoric rise is no longer in place and sadly, is likely never coming back. "Litecoin has been very good for me financially, so I am well off enough that I no longer need to tie my financial success to Litecoin’s success. For the first time in 6+ years, I no longer own a single LTC that’s not stored in a physical Litecoin" Lee said in the post. Lee explained that his liquidation was aimed at preventing a “conflict of interest” when the creator of what is known as "Bitcoin Silver" makes comments on twitter about the digital currency - something he tends to do with chronic zeal - that could influence its price, he said. That said, Lee declined to comment in the post on how many coins he sold or at what price, and asked readers to please "don’t ask me how many coins I sold or at what price. 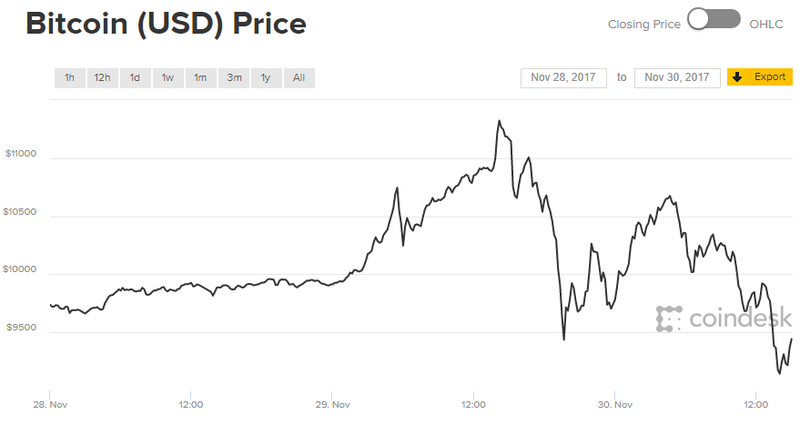 I can tell you that the amount of coins was a small percentage of GDAX’s daily volume and it did not crash the market." How does it feel to take profits on a high from the crypto boom that has been described as the biggest financial bubble of all time? “Weird” but also “somehow refreshing,” Lee wrote. 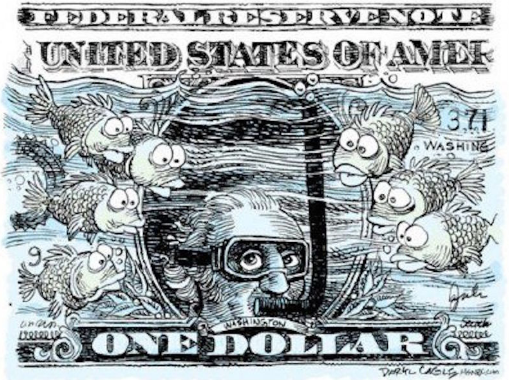 Dollar hegemony as the world reserve currency is unwinding and coming to an end. While major monetary changes are ahead, the direction that things will go is still far from certain. We know that government and central banks want to get rid of cash because they’re always telling us so. We also know that they want total economic surveillance. Ironically, crypto-currencies provide both of these things for government. Ron Paul discusses this and more on today’s Liberty Report. Today we are going to take a trip down memory lane and rewind back to the year 2012, the year in which I discovered Bitcoin and registered an account on the now famous Bitcoin Talk public forums. Despite this extreme negativity, this small community continued to grow, Libertarians flocked to its banner, because of the potential that Bitcoin offered, as a decentralized form of money. Bitcoin was for the community, maintained by the community and was the community. Businesses popped up and flourished within this community. 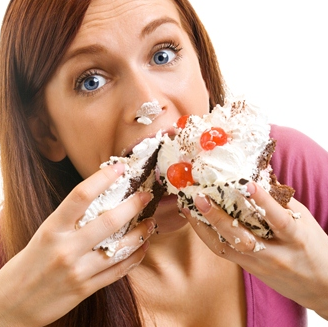 Bitcoin only shops catered to those within and services became readily available. People sold precious metals, cookies, and there was even an eBay style website for Bitcoin only transactions. Bitcoin was known as a near free to use "currency", as transaction fees were almost non existent and hyper fast. Now, sadly, let us fast forward to the state of the community today. Bitcoin Talk still has a community of sorts, but long forgotten is the idea of helping one another and creating its own ecosystem. For years now, holding has become the only valid idea. Barely anyone supports each other in a meaningful way and the once flourishing ecosystem has all but eroded away. Perhaps one day this will be Bitcoins undoing, perhaps not. But for those who have wishful thinking, believing one day that it will become a form of reserve or national currency, think again. This is just simply not possible. Is America Rapidly Approaching Hyperinflation? Charles Hugh Smith talks about the disparity in the government’s CPI index that states the cost of living is less than 2% per year when reality is different. With $21 TRILLION gone missing from DOD and HUD, as recently revealed by researchers, WHERE IS THE MONEY, how is it being used, and how will it impact the official US Government financial measures if accounted for properly? Are Bitcoin and other cryptos making gold & silver obsolete, or is there a centralized hand over-reaching into the crypto markets? What specific facts signal the last gasp for the US Dollar, against an unarguable preponderance of mega-trends? 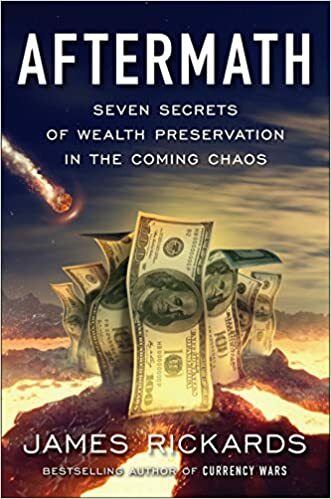 Rob Kirby, proprietary financial analyst, precious metals expert, and founder of KirbyAnalytics.com, returns to Reluctant Preppers to answer YOUR QUESTIONS in this rapid-fire and wide-ranging interview that tackles the tough issues you won’t hear about on the mainstream media! Just as government always lies about its wars and their “progress," they also lie about the economy and inflation. It’s not very hard to do when a compliant media parrots the same lines in unison. Ron Paul talks about the Fed’s massive creation of new dollars in 2008 and how it created an even bigger problem that we’re now going to have to face. The Perth Mint, one of the largest sellers of bullion in the world posted its results and demand is down. Big time. Additionally, the US Mint has posted figures for its key products, all of which experienced lessened demand throughout the month of November. The Perth Mint sold 23,901 ounces of gold throughout last month, a drastic drop from October, which saw steady gains. In fact, it was down by 46.4% from October, and 56.3% from November 2016. A stunning reversal from the previously seen strong demand. But why, why is this happening? Have precious metals suddenly lost their luster, has their 10,000 year history as a store of value suddenly evaporated within the matter of a month? Of course not, this is absurd and ludicrous and sounds like a copy and pasted line from any MSM financial outlet. What is happening is simple. Bitcoin is stealing the show. Bitcoin is decimating the demand for precious metals and will continue to do so, until it experiences a massive correction, or becomes out of vogue. The miraculous rise in the price of Bitcoin has contrarian investors backing up in horror. While the crypto currency enthusiast continue to HODL at all cost, foregoing the huge gains they have experienced in the hope that they will continue to see parabolic gains. Perhaps they are correct, as the price of Bitcoin has blown through first the $10,000 dollar mark, then $11,000, then $12,000, then $13,000, then $14,000, and then the $15,000 price point. Yes, this all occurred in one week. You can't make this up! This is one of the greatest wealth transfers we have seen in centuries, and for those who are ringing the register, you can't blame them, as long term holders have likely experiencing gains that they will never again see in their lives. Still, some in the industry continue to "clutch" their digital coins, as they state Bitcoin could reach $40,000 by the end of this month. A wild predication and one that if proven correct, is truly historic. I have no idea how much higher Bitcoin is going, nor do I believe anyone else does. This is a totally new asset and one that is impossible to evaluate, especially given its very brief history. What I am more certain of, with each growing day, is my predication that precious metals are going to experience a dramatic and sharp reversal. A move that is going to be propelled forward throughout the duration of 2018 and one that will eventually see the "barbarous relics" test and break their old highs. A move that is going to be propelled by the eventual top in Bitcoin. Take heart gold bugs, better days are coming, and take some advice from your cryptocurrency cousins. 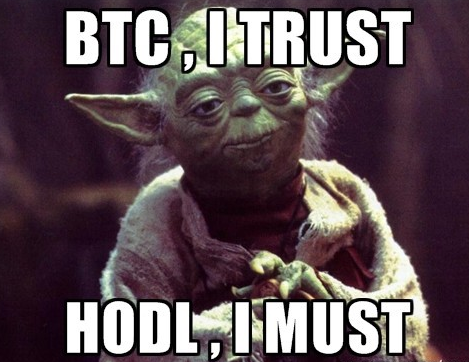 HODL! The establishment are now trying to move into the crypto market by creating a future market for bitcoin. Venezuela will try to use cryptocurrencies to bypass the dollar, the crypto will be backed by oil. The central banks are trying to show why they are needed by using the corporate media. US factory orders slide.The everything bubble is riskier than in 2008. A new research paper shows that the FED does not need to raise interest rates. For the first time ever government passed private debt. In this episode of Hidden Forces, host Demetri Kofinas speaks with former Chief US Economist for HSBC, Lacy Hunt, about the macro forces driving the global economy in the 21st century. What effect might debt deflation, structural demographics, historically low savings rates, rising inequality, falling productivity, and financialization have on our future? How will we navigate the next recession, having wasted the last 8 years chasing the shadows of wealth through buy-backs, stock appreciation, and financialization? Where will the demand come from in a consumer-led economy still fighting the forces of debt-deflation with diminishing savings rates and rising interest expenses? How will we manage our unfunded liabilities, mortgage payments, rents, and college tuitions, with falling fertility rates? And how does all of this tie back to the resurgence of populism and the escalation of geopolitical tension in a world tied together by our liabilities but torn apart by the specter of conflict, the failures of diplomacy, and the expediency of war? Chris Martenson and Jay Taylor discuss the recent action in the markets and how so many things are pointing to a massive collapse in 2018. This will result in a huge correction in the stock market and a massive surge for precious metals. Shocks are coming. 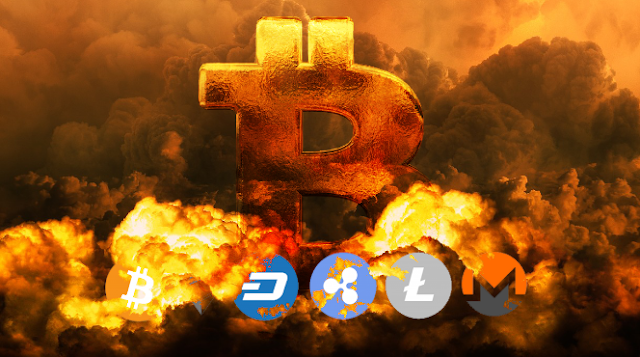 The Bitcoin markets are in utter turmoil at the moment, the cryptocurrency that has become the envy of all speculative assets, possibly one of the greatest in modern history, is experiencing extreme volatility. Long familiar with extreme ups and downs, Bitcoin has a history of moving higher rapidly, and also crashing suddenly. This past 24 hours appears to be encompassing both of these directions as the markets engage in an active game of tug of war, with billions of dollars on the line. Those who have only recently gotten on the cryptocurrency bandwagon, buying into the recent parabolic rise of Bitcoin have to be vomiting in disgust, as they watch their hard earned money being beaten like a dirty rug, but this is it, this is what it looks like to be involved in the cryptocurrency space, and something that veterans of the markets have seen time and time again. It is not all peaches and cream. It began yesterday, when Bitcoin surged higher, out of nowhere, rising to a high of $11,323 USD, from a $9721 USD start of the day. A monstrous gain in less than 24 hours. 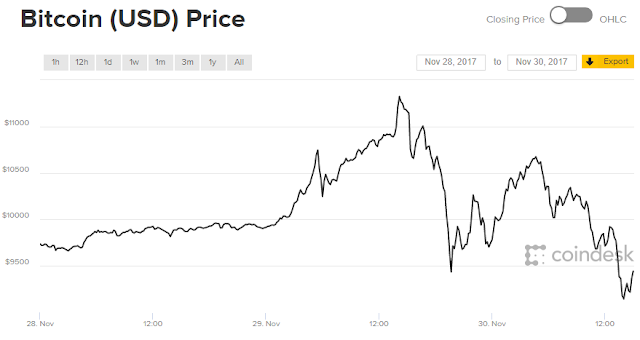 However, it was not meant to last as it promptly plummeted downward to $9435 USD, causing many of the major Bitcoin exchanges to crash themselves and go offline, including Coinbase, which is the most well funded exchange within the sector. Seeing this extreme volatility has caused many holders of the crypto currency to take profits, pulling out their money and causing another rapid crash lower, which as of this writing, has Bitcoin resting around $9,362 USD. As I have previously mentioned, 2017 has been a phenomenal year for Bitcoin. For those who got in even at the start of the year, you should be congratulated, as you made the right call and are now looking at huge gains. But as I have also seen numerous times in the past, Bitcoin can evaporate the majority of your gains in the blink of an eye. This isn't the first time, nor will it be the last time that Bitcoin suffers uncontrolled volatility. It has been and continues to be, a wild, uncontrolled and incredibly speculative asset. One that has the potential to either change the financial world for all time, or possibly be the greatest scam we have seen since the Tulip mania. I lean towards the former, but remember this always, there are powerful forces actively working against Bitcoin and its success, forces that will not take this change and threat to their fiat power lying down. The corporate media are trying everything to make it seem like this holiday season is going to be incredible. Spain's third largest bank has implemented a cashless banking agenda. The BRICS are going to create and establish a new gold trading system which will revalue gold. This is what the central banks do, keep the price of gold low, shift the gold to another location and once completed revalue gold higher. Dr. Ron Paul goes through economic gold history and cryptocurrencies in this video and feels we are on the eve of the third stage of the bull market in gold. He shares his thoughts below in a Special Market Update. According to a new study by Brown University's Watson Institute, the real cost of the US wars since 9/11 is three times the Pentagon's estimate. Some $5.6 trillion have been spent on the endless global war. The total costs of 16 years of war are even higher, and they extend beyond just finance. The Democratic party is in shambles, especially when you zoom in and look at its utter lack of leadership. The fake news, aka the Lamestream media would have you believe otherwise, but all you need to do is look at the reality in front of your face and you will realize this. This break down continues and is spiralling out of control as members from the Clinton camp begin to attack those in the Obama camp and vice versa. This is how movements die. First, Mark Dice, perhaps best know around here as the guy who can’t give away a 10 ounce silver bar when giving the choice to random strangers on the street between a Hershey’s candy bar and the silver bar. Well, in Mark Dice style, He drove around and caught some of the action on tape in what he is dubbing the Zombie Apocalypse. Jeff has been surprised by just how good the crypto space has done this year. He was telling everyone to buy bitcoin back in 2011 and has continued to recommend it. Jeff compares cryptocurrencies to the beginning of the Internet. It feels like we are entering the Internet 3.0 and Wall Street seems to be finally catching on. The bitcoin market is still tiny, and if it ever gets valued anywhere near gold, it will still go up thousands of percent. The entire thing is bizarre and mind-blowing. He didn’t expect his bitcoin price target to more than double this year nor did he expect alt-coins to do so well. The space is volatile, and crashes are to be expected, but overall he is still quite bullish. It’s tough to tell where we are at but very few people seem to own any bitcoin. Some individuals seem to be piling in, but when you look at valuations, they are still low quite at around 220 billion dollars. This is far less than the valuations for Facebook or Apple. Just like most gold bugs he also wants to get rid of central banks and fiat currencies. Cryptocurrencies are exciting as they have the potential to help facilitate that change. If we can turn things around the world will be a much better place. Jeff has always recommended that people have much of their money in gold and silver. It’s still an excellent hedge. He is becoming more interested in investing some crypto profits into gold stocks. They discuss how Mexican Gold Corp. is an exciting junior company and how they have recommended it recently. American's prepare to sit down, feast and give thanks this weekend for what they have, who they have and the good blessing that they have enjoyed over the past year. This comes amidst a time period when their email boxes are being flooded with Black Friday specials for trinkets, bobbles and cosmetic goods that will provide a temporary reprieve from the more realistic situation that the vast majority are experiencing, growing debt levels and increased uncertainty. The fact is, the stock market continues to tick higher, not to the benefit of the mass majority of individuals who have simply not been able to partake in the "recovery" after the decimation they experienced via the 2008 crisis, a crisis that I contend has simply been papered over and one that will eventually once again rear its ugly head. At the same time as new record highs in the stock market, debt levels are also at all time highs, breaking new records and reaffirming my previously mentioned belief that the rot within our system continues to persist, silently behind the scenes. It appears that as a mass, we have learned nothing. I am not trying to be pessimistic, but the fact is, people are rushing out to buy goods this weekend that they don't need, can't afford and ultimately that won't make them any happier. The only saving grace is the fact that a growing trend continues to manifest. This trend is one that cannot be ignored at this point and one that has central Banksters privately meeting and discussing what they are going to do about it. This is the flood of fiat money that continues to flow out of the economy and into what people perceive is a more viable, safe place to park their funds. This can be witnessed via the monumental amount of money that continues to move into bitcoin and other alternative crypto currencies. A trend that has amazed many, as the charts continue to go parabolic. Perhaps these people are misguided, perhaps they are wrong and bitcoin will crash overnight, perhaps they are correct and we are going through a once in a lifetime change. Who knows, I certainty don't. What I do know however is that bitcoin is not alone in this trend. Art, collectibles, and other items that people perceive to have value continue to tick higher, setting new records as they reach new heights. The fact is, people can feel it in their bones, they know something is wrong with the system and they are attempting to park their money in items that cannot be simply printed out of thin air. Yet, gold and silver continue to stagnate, floundering as money continues to be diverted away from this sector and into Crypto currencies or whatever the latest, hottest trend is. Still, I strongly believe that this is not going to last. I have followed the Crypto currency community long before it was considered mainstream, or trendy. The unknown truth is, is that there is a strong affinity for precious metals within that class of investors, they constantly compare bitcoin to gold and Litecoin to silver. They respect precious metals, dispute whether they believe it is better or worse than their cherished asset. Any hiccup, any crash, any disturbance within the Crypto space that causes this trend to reverse is going to cause a massive amount of funds to move back into the precious metals space, as people take a portion of their phenomenal gains and park it in an asset class that they believe to be a safe space, i.e. gold and silver. Yet, Cryptos do not need to crash for this to happen (although I believe it would cause greater results), not at all. People are finicky creatures and even though bitcoin is incredibly divisible, therefore making the current price irrelevant, this is simply not how people think. Many will begin to believe that they have "missed the boat" or that the price is "simply too high now". This is exactly why stocks split when the nominal price becomes too high. This leads to a golden scenario. I believe that the potential for gold and silver to sharply increase throughout 2018 is incredibly high. I believe that this will be remembered as a turning point within the precious metals markets and thus one of the greatest opportunities of our modern times. I believe that 2018 will be gold and silvers bitcoin year. 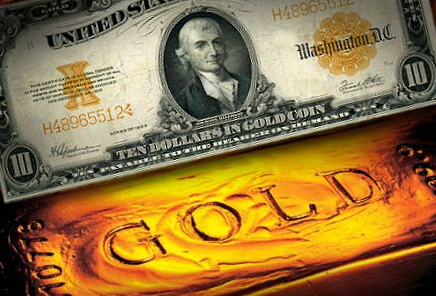 One concern of retail precious metals investors is the possibility of a gold confiscation. Imagine having the forethought to buy gold to shield your finances from an economic or monetary crisis, only to have it taken away from you by your government. You’d lose not just the protective buffer you put in place but potentially a chunk of your net worth. Gold confiscation may sound preposterous to investors used to securities or real estate. But it’s happened in the past enough times to make it a reasonable concern for those uneasy about unsolvable debt levels, runaway government spending, and continual central bank money creation. Watch this video for the complete history of gold confiscation and what you can do to protect yourself. After Jamie Dimon slammed bitcoin for being a money laundering tool, JP Morgan has been busted for money laundering. Is online sales pushing the brick and mortar stores over the edge? Wall Street responds to the brick and mortar meltdown, WS creates and ETF that if b&m retail declines you make money. Empty retail space in Manhattan is growing, the rent is outrageous. Another step forward for sound money, Texas opens its gold reserve. The central banks are changing the way they do business and they are preparing for the financial crisis. A big bomb that best-selling author Edward Klein drops in his new book “All Out War: The Plot to Destroy Trump” is his publishing of FBI documents warning of violence coming from Antifa and other left-wing groups, which Democrats support. Klein says, “In the FBI report, that I have reproduced in full in my book, it says that these violent left-wing groups traveled to Europe, met with representatives of al-Qaida and the Islamic State, or ISIS. They also went to Syria and got bomb making instructions and toxic chemical instructions. US begins to push the agenda to stop other news sources from reporting the news, this is another step in trying to block the truth. Zimbabwe coup is underway but it looks like the government is still intact. Russia vetoes the UN resolution on chemical weapons and writes their own. The US issues a travel warning for Europe this holiday season. For anyone that has followed my writing for some period of time, you will remember the series that I wrote, which broke down India's war on gold and how it was going to fail in its goal and fail spectactually it did. This series went on and through time, my initial estimations were proven correct, the officially reported number of gold imports did indeed crash, but this was simply because the black market exploded. Smuggling of gold into India increased dramatically and all kinds of innovative ways of getting the metal into the country at reduced costs were created. The free market exerted its will and as always, won the day. Undoubtedly, there was some reduction in imports, but not as much as the government of India was hoping for. Yet, there was one other predication that was made during this time period, of which has also been proven correct through time. The demand for silver was going to explode. India in the past has had a history of being the largest importer of the yellow metal, which it has only recently been dethroned from. Their appetite for gold is insatiable and therefore it was only logical to assume that a large percentage of the funds intended to flow into gold, were going to go to the next best thing. Silver. This has and continues to prove to be the case. As reported, imports of silver in September exploded higher, increasing by a whopping 152% year over year! This coming on the back of an already significant surge seen in the month of August. 566.778 tons of silver were imported throughout the month of September, up from 225 tons in September 2016. 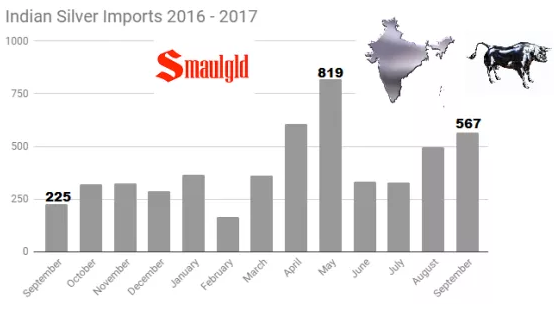 A massive and huge increase, indicating that India's appetite for precious metals not only remains strong, but is increasing, despite the government's best efforts to clamp down on it. In fact, this was the highest level seen, since 2009. Meanwhile, in the West, precious metals continue to be scorned and ridiculed, cast aside and forgotten as the latest and greatest thing continues to siphon funds out of this market. Crypto currencies, led by Bitcoin, continue to drain funds that would otherwise have gone into the precious metals space. This is not entirely a bad thing, unless you are fully committed to the precious metals space. As many of you know, I have been a long time supporter of Bitcoin, writing about its value from its infancy. But, still, as I have always stated, it is no replacement for gold and silver, which have stood the test of time for over 10,000 years and will continue to do so for the foreseeable future. They are two different assets and play two different roles in the protection of your portfolio. I expect 2018 to be the year of gold and silver's resurgence after the monumental explosion seen throughout this year in the price of Bitcoin. A price increase that has made many feel like they have "missed the boat", which will cause them to search for other opportunities. I expect the West to once again wake from its slumber and take cues from countries such as Russia, China and India, who continue to take prudent steps and diversify into hard assets. A new record was set, there are now 95,385,000 people not in the labor force. Many Americans have looked for jobs but there are no jobs out there.Retail and those companies that make products for retailers are feeling the declining economy. 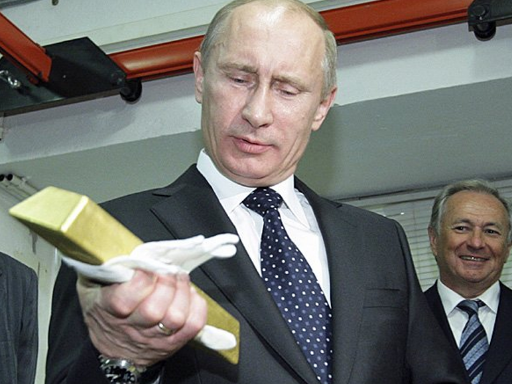 Russia ramps up gold purchases in preparation for a failing global economy. Russia has been expanding its gold reserves at a record pace, according to information from the World Gold Council (WGC). Russian business newspaper Kommersant suggests this gold rush will give Russia guarantees against sanctions and economic and geopolitical risks. In the third quarter of 2017, the Central Bank of Russia bought 63 tons of the precious metal, bringing its gold stockpiles to 1,778.9 tons as of the end of September. In September only, the regulator added 34.6 tons of bullion to its reserves, in the highest monthly increase since October 2016. Currently, the Russian Central Bank has been ranked sixth in the world in terms of bullion reserves. 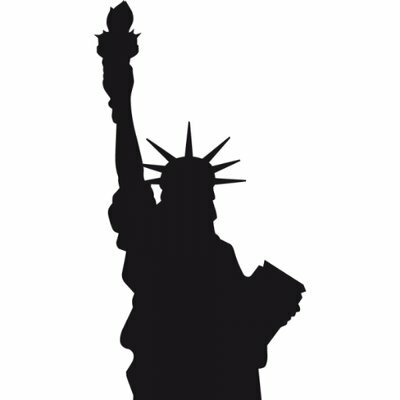 The top five are the United States (8,133.5 tons), Germany (3,373.7), Italy (2,451.8 tons), France (2,435.9) and China (1,842.6). According to the Russian business daily Kommersant, by stockpiling bullion, Russian wants to have guarantees amid the tightening of the US Federal Reserve’s policy and amid the growing tensions between Moscow and Washington. Russia also wants to protect its reserves against possible geopolitical risks. If US sanctions are expanded to block Russia’s assets invested in US Treasuries, gold will be a "magic wand," Andrei Vernikov, senior investment analyst with the asset management company Zerich Capital Management, told Kommersant. "The regulator will continue to amass gold in its reserves, decreasing the share of US Treasuries," Alexander Losev, CEO of Sputnik Asset Management, told the newspaper. Whether the financial elites of the West know it or not, they are sending us down the path of defeat. Will this happen next week, next month, or even next year? This is highly unlikely, but what is most certainty assured, is the slow decline of the West's power and its geopolitical influence over the rest of the World. As I have written about numerous times in the past, our financial and political leaders in the West are creating an unholy alliance between Russia and China, two super powers that now have the ability to oppose the West, flip the switch and de-throne the King Dollar whenever they want. The question is not if, but when at this point. Through sanctions, negative rhetoric and abuse of the powers that the United States have been bestowed through being blessed with the ability to print the World's reserve currency out of thin air, whenever and in whatever quantity it wants, the West has ensured that other countries will act in their own best interest and eventually attempt to overthrow the rotting fiat based system that we live under. Perhaps this is for the best? Perhaps it is not, and we are looking at a future that is both abysmal and filled with tyranny. Despite the many faults of the Western political system, it is still relatively free, especially when compared to that of the Chinese and Russian based systems. Sadly, it appears that it is unavoidable at this point that the torch will eventually be passed from the West to the East, as Western governments continue to spit in the face of the "golden rule", while the Eastern officials embrace it. He who holds the gold, makes the rules. It almost seems weekly now, that another news article is released, proving that the alliance between Russia and China continues to not only grow, but flourish. Therefore it comes as no surprise to learn once again that these two countries have entered into another partnership that will strengthen their bond that much more. 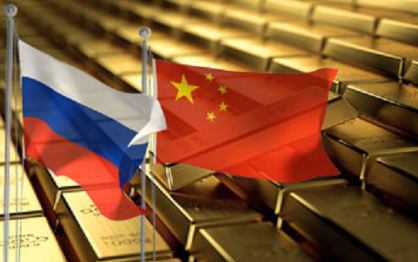 Russia’s state-owned Far East Development Fund is in talks to create a $1 billion joint venture to invest in the country’s mining industry with China National Gold Group, a government controlled producer of the precious metal. "We and China Gold will create an attractive financial platform that private investors can take part in and make money," Alexey Chekunkov, head of the fund, said in an interview in Danang, Vietnam, where he attended an Asia-Pacific Economic Cooperation business forum. "Our first goal will be to invest in gold, precious metals and copper projects." This is just further proof of how close these two countries are becoming and how they are jointly beginning to work together. Their obsessions with gold should not be overlooked, as it has been alluded to more than once, what their intentions are. A hard asset backed currency, with gold being one of the main components. We will continue to see reports such as this being disclosed on a monthly basis. Their thirst for the yellow medal is insatiable and their need to protect themselves against the ravages of fiat money being unleashed by Western powers is paramount. As we discussed before, the question is not if, but when. Plan accordingly. Add these things on top of an already frothy tape, beset by amateur speculators and weak hands, and there is a significant risk here for further downside. The treatment for this is a correction; you have to allow the debt to be liquidated. You have to get rid of the mal-investment and you have and to allow real economic growth to start all over again. But that wasn’t permitted in ’08 and ’09, which is why there’s been stagnation. It's hard to believe that today we have negative interest rates -- real rates are negative and people still aren’t grabbing them up! A shortage of money isn't the problem here; rather, it’s a shortage of understanding market conditions. We’re over-taxed and over-regulated. This is resulting in a destructive system that has divided the country into two groups: those who haven’t recovered from the Great Financial Crisis versus those who are getting very rich because they're on the receiving end of the new money created by the Federal Reserve. The people who get to create the credit get to distribute the credit, which always results in a situation where money becomes unfairly distributed, as its allocation is no longer dependent on productivity. Dr. Ron Paul: Is the Fed Safe? President Trump is great at stirring up controversies and throwing red meat to the media. He's great at keeping the left in a permanent state of hyperventilation. He's great at rallying his supporters. But when it comes to actual policies, the status quo has been maintained across the board. The warfare is safe. The welfare is safe. Even the Federal Reserve is safe under Trump. Multi-billionaire Hugo Salinas Price: “Money, in its highest manifestation, is gold. However, silver can also be money, though not as aptly as gold. In trade, all commodities exhibit what is called a “declining marginal utility”, with one notable exception. Carl Menger (1840-1921, Vienna) illustrated the phenomenon of declining marginal utility by the example of a farmer who owns a wheat field. Suppose he only gets one sack of wheat from a crop. This is the most valuable, and he will use the wheat to feed his family. Each successive sack of wheat obtained by the farmer is devoted to progressively less valuable applications; finally, there comes a point where the farmer uses the last incoming sack of wheat to feed his pet canary. Thus, as we own more of a given good, the less valuable to us is the last good. The “marginal utility” of a good declines as we have more of that good. Gold is a commodity: we can make jewelry and ornaments out of it, and it has some industrial applications, and gold is also money because if we are to receive a payment, we will apply virtually no discount on the value of the gold we receive, no matter how great the sum is. We will value the last coin received just as highly as the first. It is the exceptional commodity in this respect. The “declining marginal utility” of gold is, for all practical purposes, non-existent. That is why it is money, as well as a commodity. Bitcoins and Dollars – and all currencies – are not “commodities”; they are nothing but numbers and have no substance. 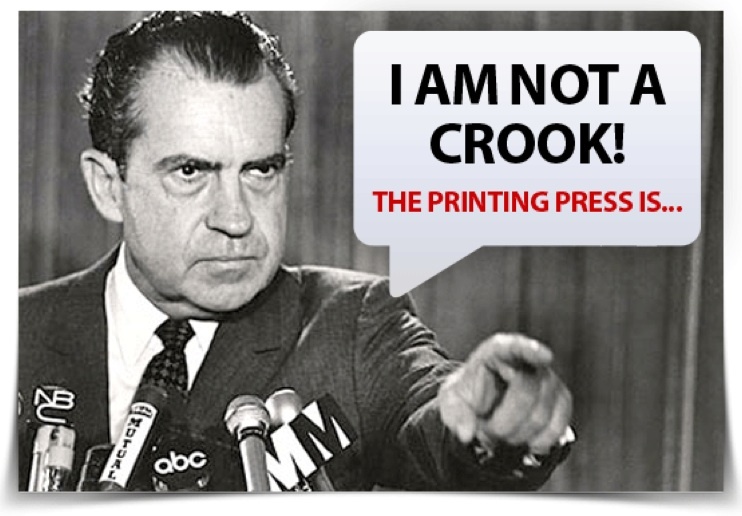 Ever since August 15, 1971, when President Richard M. Nixon ceased to deliver gold to the holders of Dollars who had been promised gold in exchange for their Dollars, the world has not been enjoying the use of money. Instead, it has been using simple numbers, and those numbers are now in the trillions upon trillions. What took place in 1971 was a deadly disconnect between the rational faculty of humanity and the reality of the physical world. The rational faculty of humanity / “false money” / the reality of the physical world: false money stands between us, and the physical world in which we live. Humans can act effectively to achieve their subsistence when they approach the problems of the physical world through the medium of money, i.e. gold and to a lesser extent, silver. Humanity today is struggling to maintain and further the industrial and commercial activity of the world that was established when gold was money. To realize that what we have today is total chaos, all we have to do is to read the daily papers. This chaos prevails because humanity is no longer in contact with the realities of the physical world: rational human activity is disconnected from those realities, by the false money i.e. the numbers, which lie between us and the physical world upon which we must act according to reason. Many of us suspected and many of us assumed during the 2016 Presidential elections that there was a lot of funny business going on, on both sides. This is typical in our current shambled state of politics around the Western world, where politicians can be bought so easily and cheaply. Mega Corporations have much more power than people think, and a lot of the times these companies and the elites that control them can alter the laws and change the course of history through massive donations to their candidate of choice, essentially buying a piece of them. This is known, people know this happens, even if they don't want to admit it, but typically, it is behind the scenes and obscure, never seeing the light of day. What is even less known is the fact that certain families seem to perpetually run candidates and get elected, despite their horrible track records. Their name alone seems to propel them into power, akin to the old noble system of the Feudal era. But, times have changed since that era and these families have gotten much smarter, better have they become at camouflaging what they are doing and better have they become at distracting the peasant masses. That is until recently. What we are seeing now, is a mass awakening. For years I have been writing and talking about the reality that we live under, and for years I have been lumped in with tin foil hat conspiracy theorist. Yet, year after year, one after the other, another "conspiracy" is verified as fact and another tin foil hat is thrown in the dust bin. One such conspiracy that I and countless others talked about last year, surrounded the DNC primary and how it was completely and utterly rigged against Bernie Sanders from the start. Anyone paying attention could tell that Bernie had the hype, he had the organic movement and he had the support of the mass majority of those that made up the Democratic party. Yet, state after state, Hillary Clinton won and or was simply rewarded the victory due to the DNC's broken nomination system. 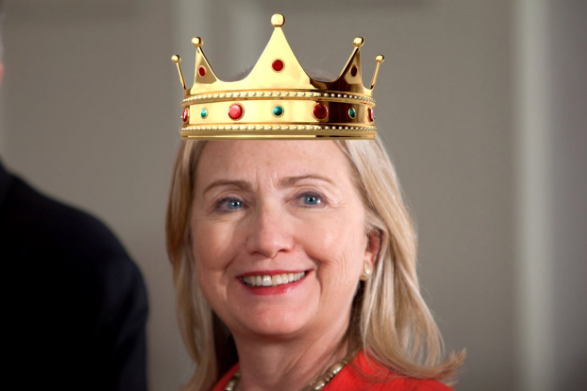 This baffled people, and they screamed to the heavens above, frustrated Bernie supporters rallied and protested, they knew they were having a fast one pulled on them, they knew the DNC was working hand in hand with the Clinton campaign and they knew that democracy was being cast aside as their Feudal lord was being placed upon her throne. Now, we learn the truth, we can take off the tin foil hat and cast it upon the ever growing pile. Donna Brazile, the former intern head of the DNC party during the campaign, who was hoisted into her position after her predecessor was cast out in shame, has come forward, confirming everything we already knew. Bernie didn't stand a chance. It was rigged from the start. "I had promised Bernie when I took the helm of the Democratic National Committee after the convention that I would get to the bottom of whether Hillary Clinton’s team had rigged the nomination process, as a cache of emails stolen by Russian hackers and posted online had suggested. I’d had my suspicions from the moment I walked in the door of the DNC a month or so earlier, based on the leaked emails. But who knew if some of them might have been forged? I needed to have solid proof, and so did Bernie." "I had to keep my promise to Bernie. I was in agony as I dialed him. Keeping this secret was against everything that I stood for, all that I valued as a woman and as a public servant. "When I hung up the call to Bernie, I started to cry, not out of guilt, but out of anger." As most of you know, I for one was not a fan of Bernie, or his socialist policies, but I was even less of a fan of Hillary and her cronyism. But, what I am a fan of is freedom, liberty and democracy. I urge everyone to read Donna Brazile's full article here, and think long and hard about the cold hard reality of how far "democracy" in the West has fallen. How have we gotten to this point and how can we bring back the power, to we the people? This is a fight worth fighting, keep waking people up, keep informing people and know this, the masses cannot be silenced forever. Eventually, as it always does, the free market and liberty will exert its will and win the day, as it always has and as it always will. The pendulum has begun to swing. Clinton and the DNC Funded the Russia Dossier: There Goes the Russia Narrative! The MSM and the "Washington Elite" have attempted to defame Trump every step of the way. Since before even taking office, they have fabricated and tried to dig up "dirt" on him and his campaign. This is a modern day witch hunt, mark my words. Sadly, just did the "Fake News" narrative that the dying legacy media attempted to ram down our throats, their Russian narrative is also blowing up in their faces. As suspected, it is now proven that Hillary Clinton and the DNC were behind the infamous "Russia Dossier". Surprise, surprise. Is America on a Secret Gold Standard? Has America been secretly on the gold standard? We ask because as Janet Yellen nears the end of her term as chairman of the Federal Reserve, the value of a one-dollar Federal Reserve note is at 1,269th of an ounce of gold — essentially identical to the 1,262nd of an ounce of gold at which it was valued on the day she acceded to the Fed chairmanship. Is that just a coincidence? That is the question as President Trump wrestles with whether to nominate Mrs. Yellen to a second term or bring in someone else to chair our central bank. Federal Reserve scrip has roller-coastered somewhat during Mrs. Yellen’s term. It’s plunged below a 1,300th of an ounce of gold and clacked up to close to a thousandth of an ounce of gold. Generally, though, it has stayed within that band. What a contrast to the drama under Chairman Bernanke. When he acceded to the helm of the Fed, the value of the scrip it calls a dollar was a 568th of an ounce. He soon ran down its value to a 1,900th of an ounce of gold. It recovered somewhat. Yet he bequeathed to his successor scrip that had lost close to 55% of its value. It stands as the second worst record of any Fed chairman. Mr. Bernanke, of course, would mock the idea that the value of Federal Reserve note — meaning the gold it will fetch — is a measure of his performance. He doesn’t give a fig for what Alexander Hamilton and the Founding Fathers thought. Mrs. Yellen herself, in testimony before Congress, also mocked the idea of a gold standard — or any rule, even one set by the Fed itself. A voluntary, but transparent, rule set by the Fed itself is what has been proposed by Professor John Taylor, another contender for Mrs. Yellen’s job. All the greater the irony of her record — and the fact that the economic progress recorded under President Obama, meager though it may have been, began once the dollar had hit the band in which it more or less stabilized during Mrs. Yellen’s term. It is disappointing that this issue has failed to surface during the run up to President Trump’s decision in respect of the next Fed chairman (not to mention appointments to the other governorships open at the central bank). The point is well-marked in Lawrence Kudlow’s latest column. “We don’t really know what dollar policies the Fed candidates favor,” he notes, in a devastating point. Mrs. Yellen, he adds, “hardly ever mentions the dollar. Nor does Jay Powell, at least not in his few public speeches.” Nor has there been any discussion of the basis on which President Trump is going to make his decision of whether to opt for Governor Powell, a tweedledum to Mrs. Yellen’s tweedledee, or Professor Taylor, who would represent a step in the direction of reform. Or someone else. The situation couldn’t be more ironical. Chairman Yellen reminds us — and not for the first time — of Lucy and the football. Mrs. Yellen has managed to stabilize the dollar within a broad but perceptible band against the true measure of value, gold. Yet she resists admitting gold, or any rule, into the management of what passes for our money. Wouldn’t it be something were she passed over for a second term only for Congress to discover she’d been eyeing the price of gold all along?